Summary from Goodreads: Some people might say that Denver had a death wish. Why else would she have dared to sneak into a Malibu beach party where she’d be surrounded by enemies, namely including her ex-BFF Abigail? Despite all the death and, well, the not-so-great things that happened, The Lifeboat Clique was a very fun and surprising read. I went into it with not really any expectations, probably more low than high, and ended up really liking this one. Of course, I had a few problems with it, but overall it was a fun read full of sarcastic humor, and I really enjoyed reading it. I, Denver Reynolds, would survive. 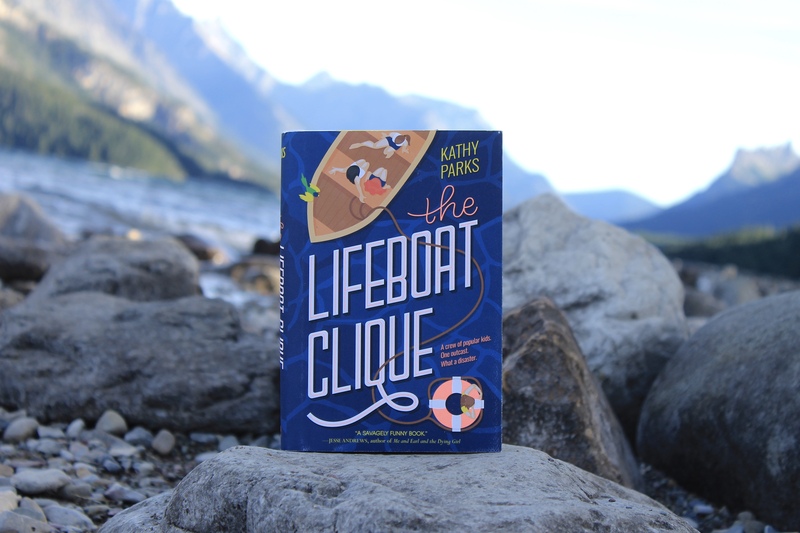 The Lifeboat Clique starts off with five teenagers stuck on a small boat in the middle of the ocean after a terrible tsunami hits Los Angeles. Denver Reynolds, the main character, was invited to attend a party that her ex-best friend, Abigail Kenner, was hosting by Croix Monroe, her high school crush. Before that, they had been experiencing so minor earthquakes but nothing horrible. Then, at the party, a terrible earthquake hits followed by a tsunami that ends up killing a lot of the people at the party. Denver and Abigail, along with three other “popular kids”, Hayley, Sienna, and Trevor, all get washed out to sea on the roof of the house. A lot of this story takes place in flashbacks, telling Denver’s story and how her friendship with Abigail ended. I will admit that I found Denver to be a bit annoying at first. She’s sarcastic (which I loved) and bitter and kind of whiny at first. As the book progressed, I felt that Denver did as well. She stopped being so whiny and ended up being the main reason everyone was able to survive, at least for as long as they could. The flashbacks really help with this as well, and show us why she acts the way she does sometimes. Normally I’m not a huge fan of things like that, but I really liked how it was done in this book. Our other characters include Abigail, Hayley, Sienna, and Trevor. Abigail hates Denver after Denver had done something horrible to her on accident. Abigail refuses to admit that maybe it was partially her fault as well. Hayley is your typical idiotic cool kid, but I also really enjoyed her character. Just the things she said and did were so stupid, but they made me laugh. Sienna is just your typical mean girl. I didn’t care much for her. Trevor also isn’t the brightest, and makes some pretty dumb decisions as well (that eventually lead to his death), but he was a fun character, and like Hayley, really made me laugh. There really wasn’t any romance in this book. Sure, there is some in the beginning between Denver and Croix and a bit between some of the side characters, but that was all. Though I love books with good romance, it’s always nice to read one that really doesn’t have any. it’s more focused on Denver and Abigail’s story and how they ended up surviving. The plot was something really interesting and new. I don’t know about you, but I have never read a book like this one before about teens being stuck out at sea. Denver was also able to pretty much keep everyone else alive because they were all so obsessed with popularity their whole lives. Instead, she actually knew some survival skills. Like I said before, despite all the death and other terrible things that happen, it was still such a fun and funny read. It had me laughing out loud at lots of different parts. I found the writing to be nothing that special, but still lots of fun. It’s told from Denver’s POV and is filled with her sarcastic and bitter remarks, which were great. I really loved getting to read from her POV even though I found her to be a bit annoying at times. There were also times and some deaths that were actually really sad and brought me to tears, which is surprising, because I rarely cry. I guess I had just come to actually care about some of the characters. Kathy Parks said that this book is a combo of Mean Girls and Life of Pi. I’m obsessed with the movie Mean Girls, and I can definitely say I got Mean Girls vibes from this book. However, I’ve only watched part of Life of Pi because I thought it was really boring, but from what I did watch, I can say that the comparison is pretty accurate. It’s full of drama and witty remarks like Mean Girls but also has the survival aspect of Life of Pi. 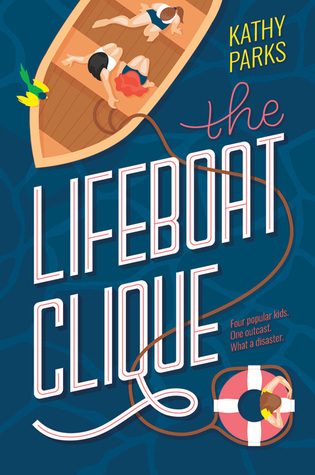 Overall, The Lifeboat clique was a great fun read that I really enjoyed. I definitely recommend this to anybody in the mood for a light, funny read or if you kind of just want to read something that isn’t full of romance, like me. 4/5 stars for sure! 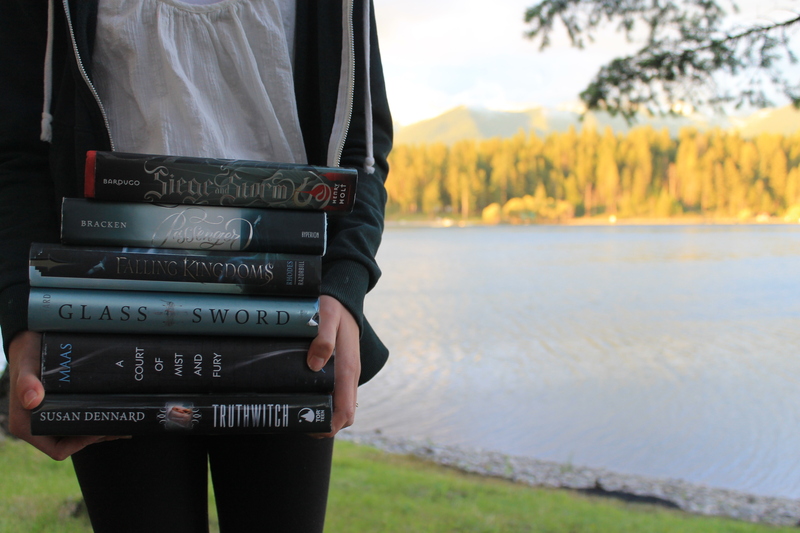 Ooh, I love that picture you took, fits the book so well! I’ve seen this one around but I don’t think I ever really read the synopsis. I’m intrigued! Like you said, the concept is pretty unique and I’m a huge fan of sarcastic humor 🙂 Glad you enjoyed this one, I’ll have to check it out!